Opioids & oral Morphine Equivalent daily Dose(oMEDD): Guidelines for opioids for non-malignant chronic pain. Whilst opioid therapy has an established role in the management of terminal /advanced malignant pain,its use in non-malignant pain remains problematic.There appears to be a trend towards the use of potent S8 opioids for non-malignant back pain and poorly defined lumboradicular pain,often in the setting of litigation and protracted invalidity claims. OxyContin (prescribed) results in more deaths from accidental overdosage deaths than heroin and cocaine combined. The OxyContin is prescribed-the heroin and cocaine are illicit. These figures are widely available (see this site) and were raised in Queensland State Parliament recently. Whilst opioid therapy for chronic non-malignant pain may provide analgesic benefit for some patients , the evidence regarding improvement in function is limited.It is likely that only a minority of patients with chronic non-malignant pain will gain benefits from long term opioid medication,and the decision to prescribe opioids in these patients should be made following strict guidelines and may require consultation with a specialist e.g. pain management unit, alcohol & drugs of dependency specialist or psychiatrist. ( Source Queensland Health ,Drugs of Dependence Unit). Chronic non-malignant pain involves not only biological, but also psychological and social factors. There are Opioid Dose equivalence Tables that allow the calculation of oralMorphine Equivalent Dose- oMEDD- that gives the doctor an objective figure regarding the daily opioid being prescribed. Major concerns need to be considered including the concurrent administration of benzodiazepines, anti-convulsants , alcohol and anti-depressants. fatal over-doses do occur and when viewed objectively ,in many cases are predictable.Caution is also required if opioid dose equivalence tables are used to guide opioid switching,as the administration of a calculated 'equivalent' dose of the replacement opioid may lead to OVERDOSAGE.Further,there is considerable variability in pharmacokinetics and pharmacodynamics of different opioids, and between different patients-N.B. interactions: alcohol, benzodiazepines, anti-depressants and anti-convulsants.Fatal cocktails can result. Drug overdose deaths deaths increased for the 11th consecutive year in 2010 and 75% of the deaths involved opioids. 'patients receiving higher doses of prescribed opioids are at an increased risk for overdosage, which underscores the need for close supervision of these patients((Dunn,et al., 2010,Ohio Medical Board).Health care providers must remember that they are not obligated to use opioids when a favourable risk/benefit balance cannot be documented.Providers should avoid prescribing benzodiazepines with opioids as it may increase opioid toxicity, and add to sleep apnoea risk,and increase risk of overdose deaths (Ohio Medical Board:9 May 2013).Providers can minimise the risks of misuse,addiction and unintentional overdosage deaths by recognising a 'press pause' point to :'reassess their compliance with accepted and prevailing standards of care. The 80 mg Morphine Equivalent Daily Dose(MEDD) is one such time. (Ohio Medical Board 9 May,2013). The plan of treatment, patient's response to treatment and modifications to achieve a favourable risk-benefit balance if opioid therapy is continued.Continued treatment requires reassessment and clinical judgement and decision-making with accepted and prevailing standards of medical care.This may,and should include Screening Brief Intervention and Referral to Treatment (SBIRT) tools, including referral to an addiction medicine specialist when appropriate. Tapentadol mg/day 0.4 Palexia IR, Palexia SR.
Oxycodone (pr) mg/day 1.5 Proladone suppositories. Morphine(sc,iv) mg/day 3.0 morphine sulphate injection. 1. Opioids only after a pain diagnosis,mental health,alcohol & other dependency issue- TRIAL. 2.Opioids should generally NOT be used for headaches including migraine and poorly, or not defined general pain states such as fibromyalgia, chronic visceral pain or non-specific lower back pain. 4. Trial-If opioids thought to be appropriate with anticipated improvements in function outweighing adverse effects and risks of dependence -then an initial 4 to 6 week trial of oral long-acting opioid analgesic to determine suitability- trial should have agreed goals should be realistic, achievable and measurable-then decision regarding treatment. 6. Opioids part of a pain management approach. 7. Regular Review of: Pain diagnosis and comorbid conditions using 4As(Analgesia,Activity,Adverse effects,Aberrant behaviour). 8. Patients ideally referred to Pain Centre BEFORE prescribing opioids: (i)history previous or existing alcohol/drug dependence, (ii)previous opioid use was problematic, (iii)significant mental health issues(conversion disorder,somatisation,borderline personality disorder,PTSD and mood disorder); (iv)younger patients (<45) with poorly defined pathology(fibromyalgia,headaches,chronic lower back pain) AND Goals and Endpoint clarified: Ring DDU for full history of S8 prescribing(07 3328 9890)--> 4 to 6 week trial AFTER ALL reasonable medical treatment trialled including physiotherapy, CBT and full examination including needle site--->Titrate with 10-20 mg oMEDD of a long acting agent: Assess outcomes at least weekly/ Do NOT exceed 120 mg oMEDD ; Encourage concurrent paracetamol and ONLY one prescriber. FOR PATIENTS ON S8 MEDICATION FOR > 8 WEEKS:TREATING DOCTOR TO COMPLETE A 'Report to Chief Executive' forward to DDU Qld Health. 9. Trial Unsuccessful: lack of functional improvement,Lack of Analgesia, Side effects or repeated requests for increased doses or other problematic drug related behaviour---> Taper dose(10% / week) and CEASE(This does NOT pose a health risk). May need consult with Pain Management Specialist regarding ongoing options. Note: Treatment at high opioid dose levels may induce paradoxical abnormal pain sensitivity, including hyperalgesia.Injectable opioids should NEVER be used to treat chronic pain or acute breakthrough episodes off chronic pain. Reference: (i) Qld Health Drugs Dependence Unit; (ii)Trescot et al.Opioid Guidelines in the management of Chronic Non-cancer Pain. Pain Physician.2006;9:1-40; (iii) Schug SA Large RG.Opioids for Chronic Non-cancer Pain.IASP Clinical Updates.2008.Vol 3 :Issue 3.; (iv)GraziottiPJ,Goucke CR.the use of oral opioids in patients with chronic non-cancer pain.MJA 1997;167:30-34. 1. "Existing evidence does not support the long term efficacy and safety of opioid therapy for chronic non-cancer pain." 2.The limited evidence supporting long term efficacy is 'weak and based on non-blinded, industry supported trials with significant potential for reporting bias'...consistent body of evidence demonstrating lack of long term analgesic effect, lack of improvement in quality of life and greater risk of harm to both individuals and society than previously recognised'. 3. Tolerance and opioid induced hyperalgesia are major limiting factors in regard to long term use. 4. There is growing evidence of harm from long term opioid use. the problems of constipation, biliary dyskinesia and cognitive impairment are well known. Additional adverse effects include INCREASED RISK OF DEATH, SLEEP APNOEA,SEXUAL & OTHER ENDOCRINE DYSFUNCTION, IMMUNOSUPPRESSION,OPIOID INDUCED HYPERALGESIA,DRIVING IMPAIRMENT,ABUSE TO MANAGE PSYCHOLOGICAL DISTRESS('chemical coper'), MISUSE, ADDICTION and DIVERSION.OPIOID DEPENDENCE makes it hard to wen and cease established opioids despite lack of analgesic effect.The use of OTC opioids has questionable benefit and SIGNIFICANT RISK OF HARM. 5. Opioid therapy for ACUTE Pain: usually ceased within 1 week of surgery or injury and in more complex cases opioids should be weaned and ceased within 90 days at most. : a daily oMEDD of 100 mg should NOT be exceeded in primary care: Review using 4As: Analgesia, Activity,Adverse effects and Aberrant behaviour:any variation should be discussed with a PAIN MEDICINE or ADDICTION SPECIALIST. 6. Patients on long term opioids AND benzodiazepines SHOULD NOT DRIVE. IF EITHER agent is CEASED the patient is safe to drive after ONE WEEK.Patients on long term opioids should undergo on road assessments to assess impairment, although impairment on stable long term opioids are 'unlikely' to be significantly impaired in driving performance. 7.Maximum doses for TIME LIMITED use in non-cancer pain: Morphine -Max. 100mg day e.g. oral MS Contin 50 mg BD OR Oxycodone 60 mg oral daily e.g. OxyContin 30 mg BD OR Buprenorphine 40 mcg/hr e.g. Norspan 20 mcg/hr OR Fentanyl 37 mcg/hr transdermal e.g. Durogesic 25 mcg/hr + 12 mcg/hr patch). 8. Prescription of oMEDD of 100mg for NON-CANCER pain OR 300 mg for CANCER-RELATED pain should NOT be exceeded UNLESS discussed with an appropriate specialist. 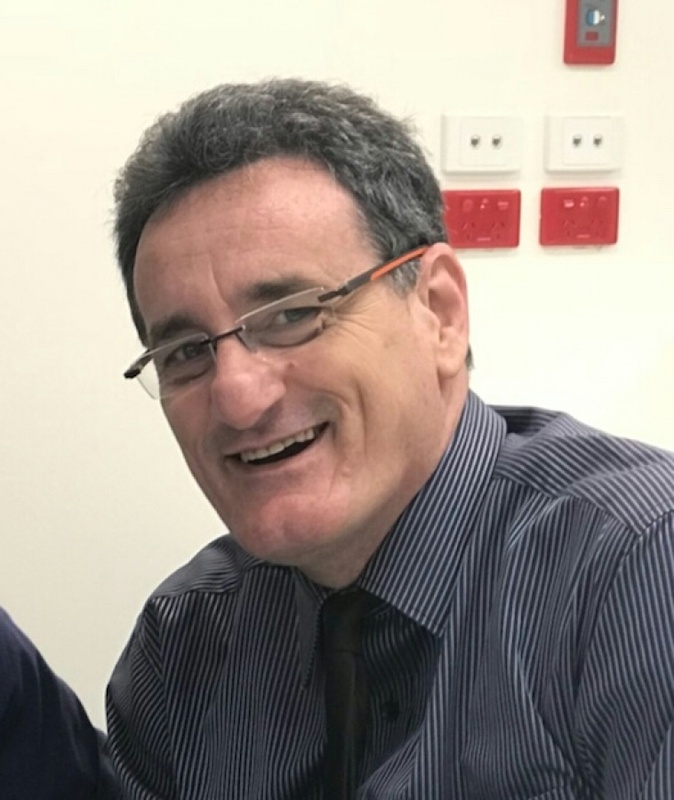 Dr Michael Coroneos is a senior Brisbane Neursurgeon.He is NOT a Pain Medicine Specialist or Pain Specialist Physician. He has an interest in chronic pain and is a Member of the Australian Pain Society (MAPS.). All advice is of a general nature and all patents should seek individual and specific care from their treating doctors.